Not a Freaking Food Connoisseur: Would you eat this? 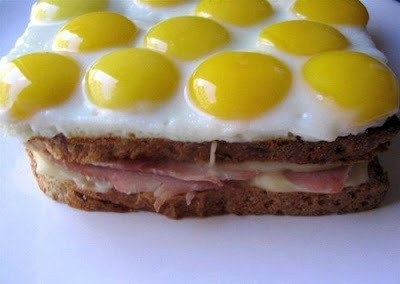 This is a regular ham and cheese sandwich topped with 11 sunny-side up egg yolks. No... Too much cholestrol. It freak me!